Each year, advisors and staff are given opportunities to receive continuing education on the offerings of Commonwealth and our industry. 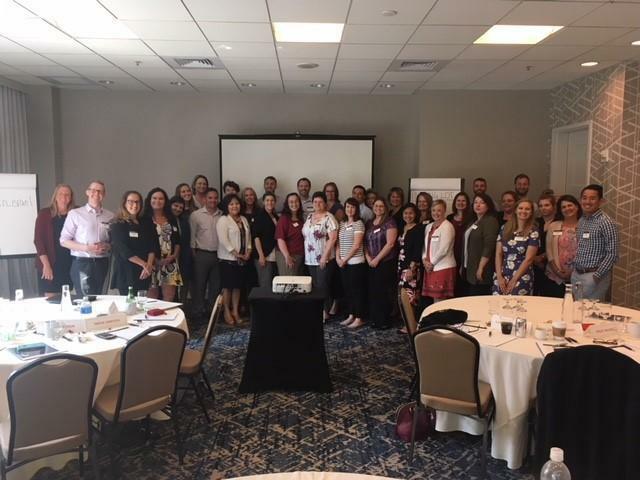 In August, Karen spent the day in Seattle with fellow industry team members learning new processes and about features new to Commonwealth and Gale Investment Management. There are exciting things coming down the pike, all to help make your lives simpler and have you feel more in control. 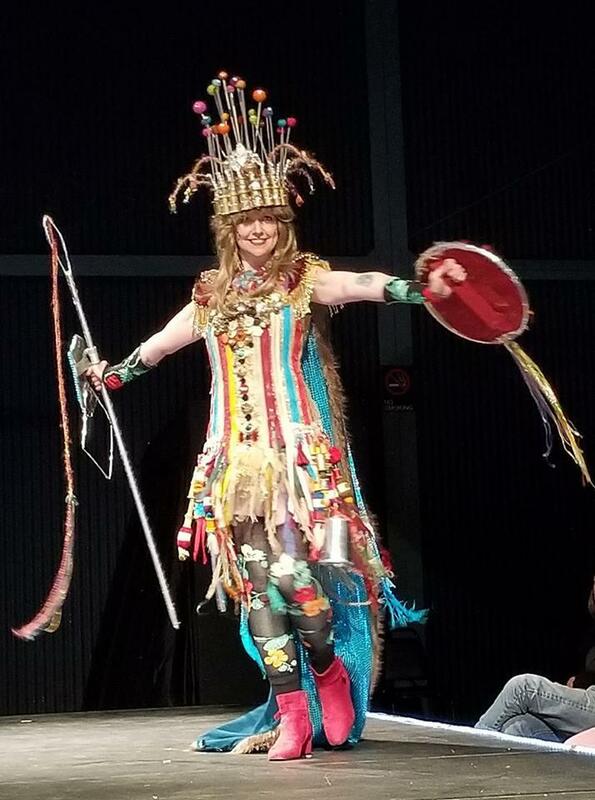 Julie Read modeled the Port Townsend Wearable Arts 2018 People's Choice award "Queen Sew Sew, Mending the Sorrows of the World". Congratulations to designer and creator Clara Graham. The annual Wearable Arts Show helps support the Fund for Women and Girls through the Jefferson Community Foundation. The Fund for Women and Girls mission is to create a world where women and girls feel safe, secure, equal, and empowered. Each year, the Port Townsend Wearable Arts Show grows in size and imagination. We are proud to be the sponsor of the People's Choice Award three years running. Once again, we were proud to sponsor the People's Choice Award for the Port Townsend Wearable Art Show this year! A special congratulations to Margie McDonald for her outstanding piece "Thorned Orange Biped," which not only took the People's Choice Award but won second prize for the entire show. Full of incredible creations, this event always delivers whimsy and wonder while giving back to our own community through the Jefferson County Community Foundation Fund for Women and Girls. We look forward to seeing you all at this growing event in 2018! 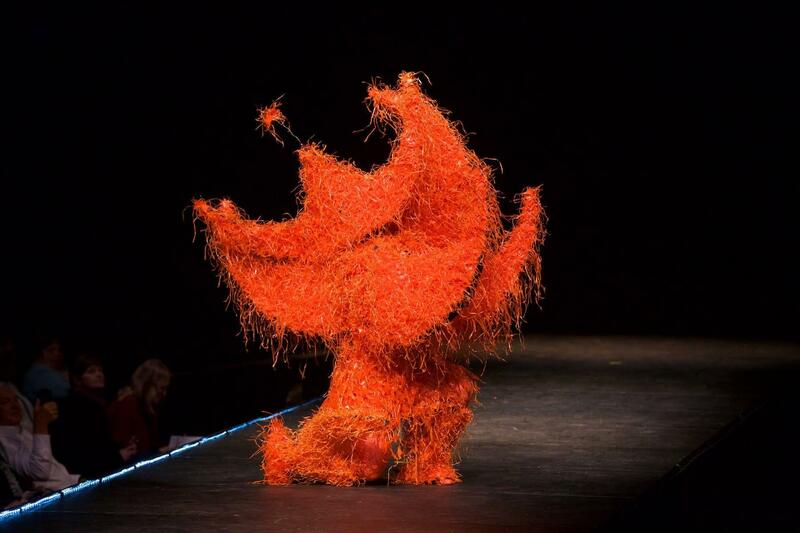 ABOVE: 2017 People's Choice Award, Thorned Orange Biped by Margie McDonald. Photo by Steve Mullensky. Only in its second year, this event has become near and dear to my heart. I am happy to have sponsored the 2017 Jefferson Healthcare Foundation's WellHearts luncheon for the second time. We live in a vibrant and healthy community full of people living their working and retirement years with access to excellent healthcare and beautiful surroundings. No matter how much we hike or bike or sail, though, heart health is always a consideration. A big thank you to the Foundation to bringing this event to our doorsteps. 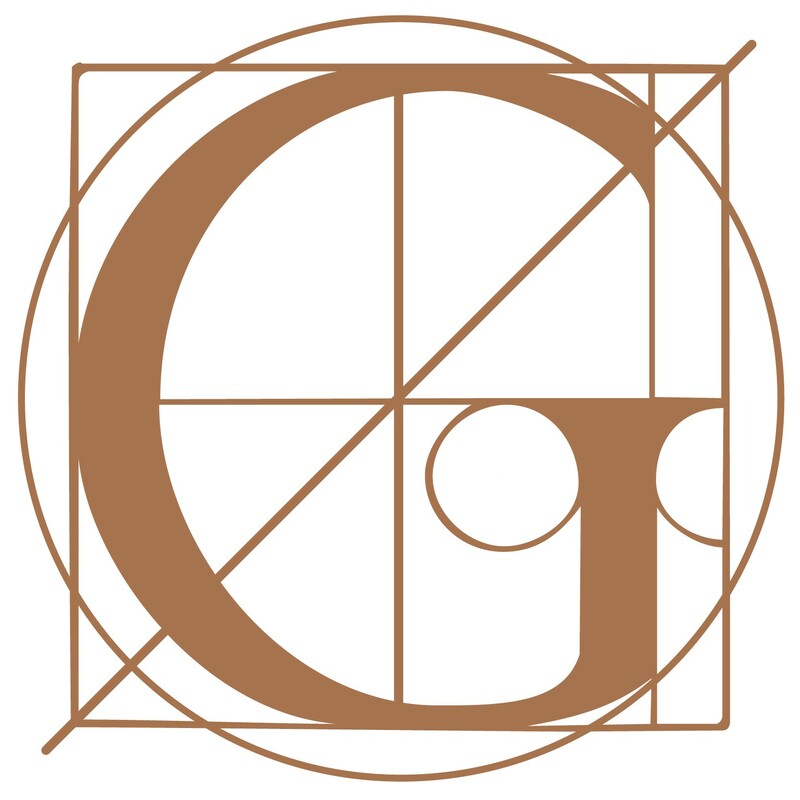 In celebration of women helping women, Gale Investment Management is thrilled to sponsor the Port Townsend Wearable Art Show benefiting the Fund for Women and Girls of the Jefferson County Community Foundation. We provide the cash prize for the People's Choice Award, which is determined by audience ballot and was won in 2016 by artist Galadriel Nichols. She is pictured here modeling the white swan in her entry "Swan Lake: Not So Black and White." Congratulations, Galadriel! Our firm has a long history with the Jefferson County Community Foundation, as Stephanie Gale served on its organizing committee and continues to volunteer on its investment committee. And we are so impressed by the great art created by and for women in our community! We're already on board to sponsor this year's show, which is scheduled for Saturday, May 13, 2017. Get your tickets early, as this event usually sells out! 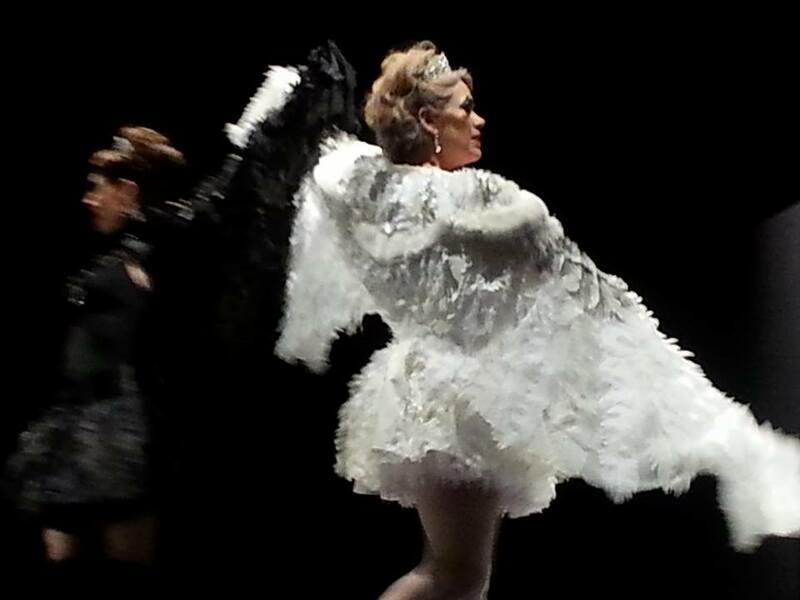 ABOVE: 2016 People's Choice Award winner Galadriel Nichols, onstage at the PT Wearable Art Show. Photo by Shelly Randall. Gale Investment Management was proud to sponsor Jefferson Healthcare Foundation's first educational event to raise awareness of heart disease and stroke in women. 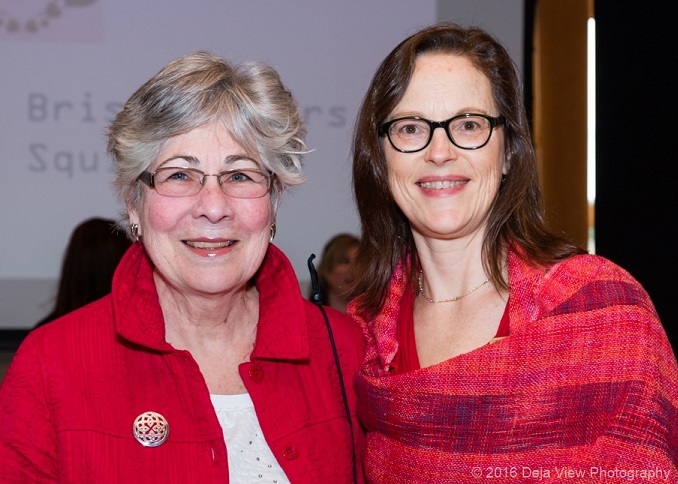 Stephanie Gale and Shelly Randall were among those dressed in red for the "WellHearts, REaDy for Action" luncheon on February 5, 2016. Hosted in National Heart Disease Awareness month, the event featured a healthy, delicious meal by celebrity chef Arran Stark and a guest lecture by renowned cardiologist Dr. Rosemary Peterson. We appreciate the efforts of our local hospital district, Jefferson Healthcare, to keep our community well! ABOVE: Stephanie (right) and a friend are radiant in red at the WellHearts luncheon. Photo by Deja View Photography. Stephanie Gale has achieved Commonwealth Summit Club status for 2016. This distinction recognizes success based on a ranking of annual production among Commonwealth Financial Network's more than 1,650 financial advisors. Commonwealth is the nation’s largest privately held Registered Investment Adviser–independent broker/dealer and the partner of choice for Stephanie. In honor of this distinction, Stephanie has been invited to join her peers at the Commonwealth Summit Club conference, May 1–5, 2016, in Santa Barbara, California. The conference will offer attendees an array of educational opportunities geared toward discovering fresh perspectives and ideas to help reach new levels of success and service excellence. Visit the What's New archive to see what we've been up to! Gale Investment Management is firmly rooted on the Olympic Peninsula, and we gladly nourish the people and organizations that make it such a special place. If you'd like to receive occasional updates on important planning and investing topics, sign up below for our e-newsletter!